Nuri Bilge Ceylan’s (Palme D’Or Winner with ‘Winter Sleep’) new film sees an aspiring writer return to his native village, where his father's debts catch up to him. 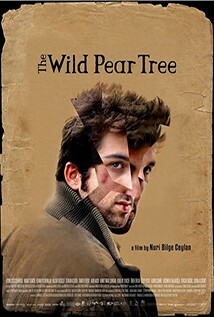 While Ceylan usually deals with the conflicts and regrets of middle-aged men, here he focuses on a younger archetype - the angst-riddled young man who aspires to become a famous writer. Unfortunately, Sinan (Aydin Dogs Demirkol) is not particularly good at it. He resents his father (Murat Cemcir), a schoolteacher and gambling addict whose messy existence epitomizes everything Sinan doesn’t want in his life. Ceylan intersperses talky exposition with poetic imagery that deepens the story’s thematic concerns, from a majestic swing of the camera that goes up and into a tree, to the slow tracking shot toward the edge of a well at the movie’s taut and remarkable climax.